Now we know that even Apple called its wearable “iWatch” internally, thanks to an incredibly rare slip-up by CEO Tim Cook. 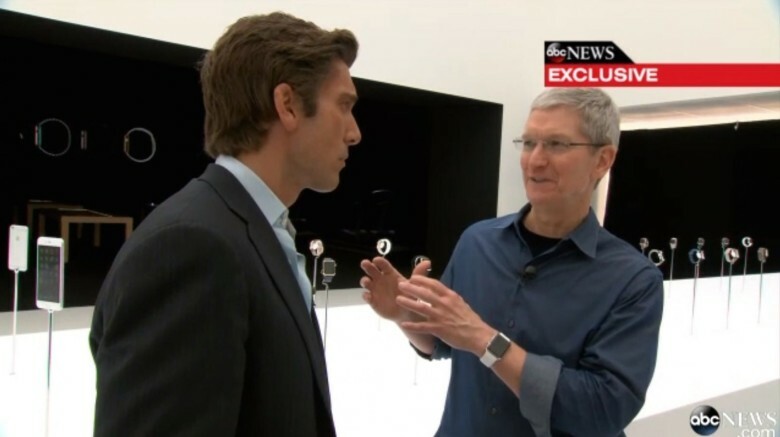 In an interview with ABC News after Tuesday’s keynote, Cook casually called Apple’s new wearable iWatch instead of Apple Watch. The Swatch Group wasn’t happy when rumors started circulating about Apple calling its wearable the iWatch, as the Swiss company holds a similarly-named “iSwatch” trademark. Apple filed iWatch trademarks in a number of countries earlier this summer, but has not done so in the United States.